The United States Citizenship and Immigration Service (USCIS), a component of the Department of Homeland Security (DHS), is committed to making its electronic and information technologies accessible to individuals with disabilities by meeting or exceeding the requirements of Section 508 of the Rehabilitation Act (29 U.S.C. 794d), as amended in 1998. 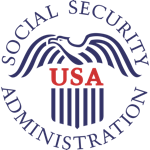 Section 508 is a federal law that requires agencies to provide individuals with disabilities equal access to electronic information and data comparable to those who do not have disabilities, unless an undue burden would be imposed on the agency. The Section 508 standards are the technical requirements and criteria that are used to measure conformance within this law. More information on Section 508 and the technical standards can be found at www.section508.gov. If you have feedback or concerns related to the accessibility of any content on this website, please contact the USCIS Service Desk via email at uscisservicedesk@dhs.gov. If applicable, please include the web address or URL and the specific problems you have encountered. If you would like to file a Section 508-related complaint, please contact the Section 508 Coordinator via email at uscisservicedesk@dhs.gov. 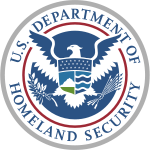 If you have comments and/or questions related to the agency's Section 508 program, please contact the Section 508 Coordinator via email at uscisservicedesk@dhs.gov.